It’s the classic home buyer’s conundrum: Should we build, or should we buy? Each option has its pros and cons. For instance, building a house from the ground up will give you the floor plan you want, but it will take months to construct. If you buy an existing home, you might have to compromise on the floor plan, but you’ll get to move in right after you close! 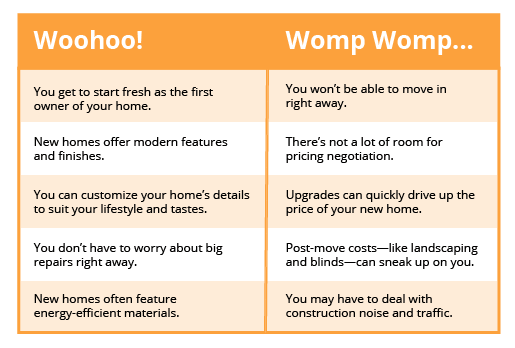 Before you decide on your next home, take time to explore the arguments for and against each choice with the help of your real estate agent. Pros:According to the National Association of Realtors (NAR), the average time an existing home is on the market is 30 days! (1) With homes flying off the market so quickly, competition to find an existing home can be tough. When you build a home, the competition factor decreases. Customization is another huge pro. 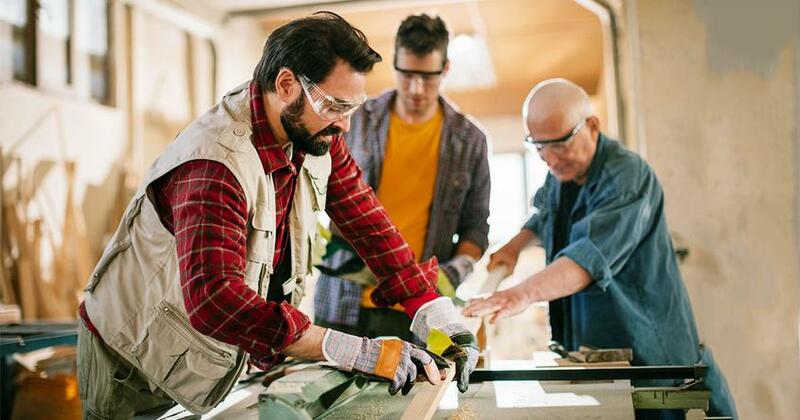 You’ll get to personalize the details of your house when you're building a house from the ground up—from the layout , cabinets and flooring to the sinks, lighting, paint colors and doorknobs! Even tract homes that are built within neighborhoods allow for some customization in color choices, flooring options and certain finishes. Limited choices reduce labor costs—and your bottom line. Obviously, new homes are built to meet current building codes, are often more energy efficient, and can incorporate up-to-date technology. For the first few years, you’re less likely to deal with big-ticket maintenance issues like leaky roofs or failing heating and cooling systems in a newly built home. Plus, many homebuilders offer a limited warranty if something should break. Cons: So, why wouldn’t you chose to build a house? For starters, it takes an average of seven months to construct a new build, according to the United States Census Bureau. (2) This means you’ll likely have a gap in residence between the time you sell your old place and build your new one. You’ll need to be prepared to cover the cost of renting until you can move into your newly built place. On the flip side, most buyers can move into their new-to-them home just weeks after making the initial offer. Here’s another biggie: Most buyers go into a home purchase expecting to wheel and deal on the price. While that’s certainly common in the resale market, new homes are a little different. Usually there’s not a lot of leeway on closing costs or purchase price. This is where having your own real estate agent comes in handy. An experienced agent knows what makes the different builders in your market tick and brings a creative mind to the negotiation table. If your builder won’t bend on price, your agent may be able to work other incentives into the contract price. How much does your typical buyer actually spend on upgrades? What’s included in the base price? What will be an additional cost at closing? Knowledge is power. Work with your real estate agent to gather as much information possible about building a house so you’re not blindsided by extra costs. Pros: The benefits of buying an existing home are more than financial. Buying a home is often less stressful than building one. When you build a house, you’ll have to purchase land, decide on a home design, pick out flooring, fixtures, cabinets, countertops, interior trim, exterior trim, and on and on it goes. You’ll have to do all of this and stay under your budget. Managing all the details that go along with building a home takes time and effort. Don’t underestimate the depth of stamina you’ll need to make sure it’s all done the right way. On the other hand, purchasing an existing home is usually less stressful than building because you have fewer decisions to make about the house itself! It’s already built! Your real estate agent can help you negotiate the best deal possible. You could potentially get more bang for your buck with an existing house. You can move in right after you close. You can upgrade at your own pace as you have the time and money. Cons: Clearly, there’s a higher risk you’ll face maintenance issues in an existing home. But a professional home inspection can root out many of those potential problems before you close on the home. You may also need to update some of the outdated features of an older home, but if you play your cards right, that old carpet and ugly wallpaper could land you a better deal. Buyer’s remorse if you end up not loving your home’s floor plan. Higher energy costs if you purchase an older home. Neighbor remorse if you end up living next to someone who blares hard rock music at 1 a.m. The most important detail about buying an existing home is choosing your real estate agent wisely. The right agent will help you make informed decisions about buying an existing home. With all that said, every market is different—just like every buyer is different. The best way to choose the option that’s right for you is to talk it over with an experienced real estate agent. Your agent will know where the deals are, whether you’re interested in the long-time neighborhoods or the up-and-coming communities. And they’ll help you decide whether building a house or buying an existing home will suit your needs best. If you’re looking for an agent who’s willing to do what it takes to help you find the perfect home, we can put you in touch with an experienced agent Dave recommends in your area. 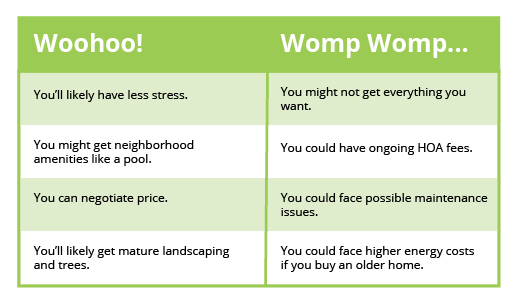 A home is a huge purchase, and you should feel empowered in the decisions you make with your money. If you need help figuring out how much house you can afford, our home loan calculator can help you estimate your total mortgage cost. 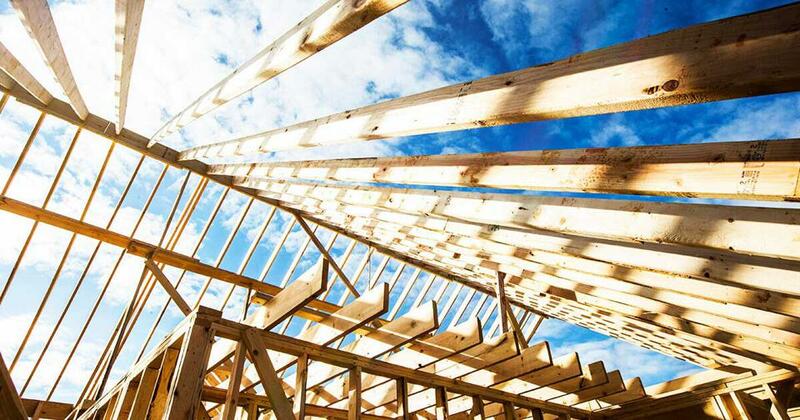 How much does it cost to build a house? Set yourself up for success by starting with a budget. We've broken down the costs to help you build your budget. If you're in the market to buy a home in 2017, a newly built home just might be your ticket to success. Buying a Newly Built Home? Watch Out for These Nightmares! If buying a high-maintenance home sends chills up your spine, a new home purchase may be right for you. But does brand new really equal hassle free? Building a home may be an easy way to get what you want, but there’s more to it than picking a floor plan with all your favorite colors and finishes.